You often hear high school sweethearts embracing each other as life partners. On a slightly different scenario, there's also a possibility two high school friends falling in love years after graduation. This is something Lin-Manuel Miranda can definitely relate to. Miranda is currently enjoying a blissful marital relationship that is nearing a decade of togetherness. The love story that began it all is intriguing, to say the least. 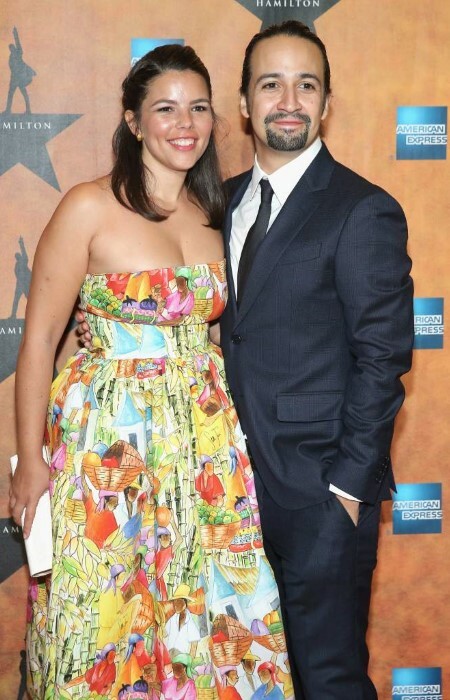 Lin-Manuel Miranda is married to his wife named Vanessa Nadal. The couple tied the knot on 5th September 2010 in Upstate New York. A chorus of Broadway singers sang at the wedding ceremony. Moreover, the reception had a 22-piece orchestra performing. The couple shares two children together. Their first child, a son named Sebastian Miranda was born on 10th November 2014. Miranda was preparing for Hamilton’s theatrical debut at The Public Theater at the time. The timing of Sebastian’s arrival had many Hamilton fans wondering if Dear Theodosia was inspired by him. It's the song where Hamilton and Burr sing to their newborn children. However, Nadal confirmed in a piece by Fordham News that she wasn’t pregnant at the time the song was written. They had recently adopted a dog though. Also, see: Catherine Bell Divorced In Good Terms With Husband, Is She Dating Anyone At Present? "It’s adorable to see him sense who he’s talking to and translate. He’ll be like, ‘Leche?’ No, Milk?’ and that’s kind of incredible. He’s like a sponge and he’s got a smattering of German, too. My mother-in-law is Austrian, so he’s got one language up on me." On 3rd December 2017, Miranda announced the couple was expecting their second child. Three months later on 2nd February 2018, Miranda confirmed via Twitter the birth of son Francisco Miranda. The couple is enjoying a blissful married life. There have never been rumors of any extramarital affairs as the bond between this delightful duo is as strong as ever. 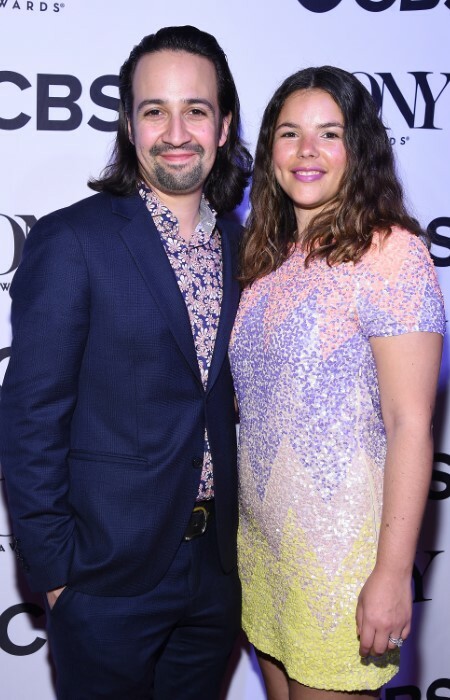 Lin-Manuel Miranda and Vanessa Nadal went to the same high school, Hunter College High School in the Upper East Side in New York City, where they got to know each other. "She was gorgeous, and I’m famously bad at talking to women I find attractive. I have a total lack of game." "I very cooly said, ‘All right, you’re going to come over to my house tonight, and we’re going to play Grand Theft Auto and watch the Jay Z movie and listen to Marc Anthony." 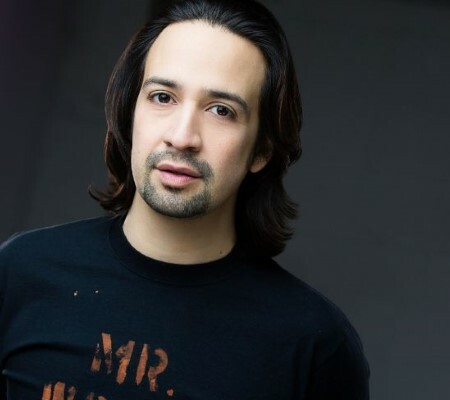 Miranda was a struggling artist at the time who was writing his first Broadway musical In the Heights. He found Nadal on Facebook and sent her an invitation to see his comedy hip-hop show, Freestyle Love Supreme. "Two months later, at a big crowded party, he didn’t exactly say, “I love you” but almost. “At some point, we met up for a kiss and he said, ‘You love me.’ I was like: ‘How presumptuous!’ I was a little angry but I couldn’t deny it." Nadal revealed, Miranda gets her in a way that no one else does. She claims to be a scientist at heart who tries very hard not to let her emotions cloud her judgments. She added, he sees through that and sees what she's really feeling. Born on 16th January 1980 in New York City. His parents are Luz Towns and Luis A. Miranda Jr.
His mother was a clinical psychologist while his father was a Democratic Party Consultant. He has one older sister named Luz Miranda who works as the Chief Financial Officer of the MirRam Group. He went to Hunter College Elementary School, Hunter College High School, and Wesleyan University. He created the Broadway musicals In the Heights and Hamilton. He has won several Tony Awards as well as the 2016 Grammy Award for Best Musical Theater Album for Hamilton. He started his musical career with Freestyle Love Supreme, a comedy hip-hop group. He has written and released independent films, most notably Clayton's Friends (1996).